TEVA have been around for over 80 years. They supply more packs of medicines to the National Health Service than anyone else in the UK. 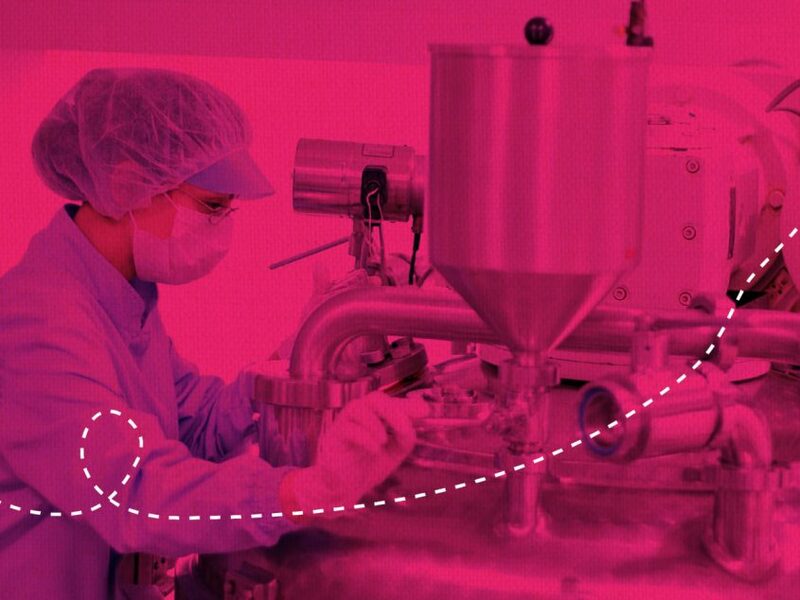 Specialising in both generic and branded medicines they improve the lives of patients, from helping them fight infections to providing life-saving injectable medicines and pain relief for cancer sufferers. 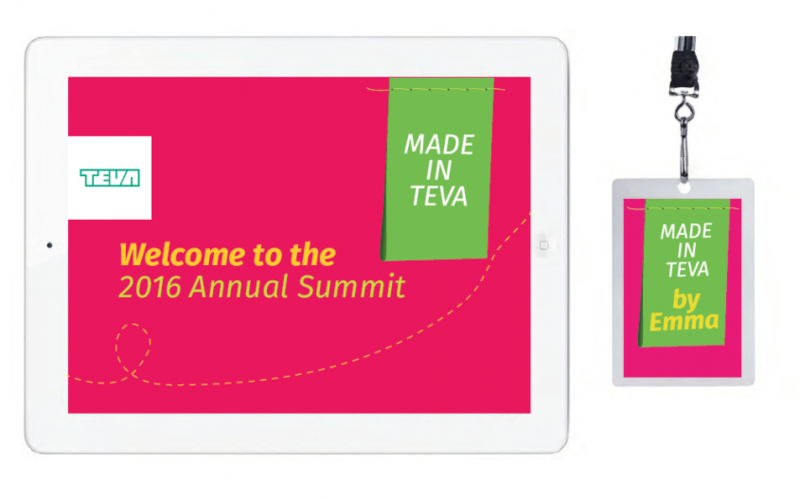 We were asked to work with our partners Pink Marketing to create a look and feel for one of TEVA’s large annual summits. TEVA wanted to take the opportunity to reflect on their achievements and celebrate their uniqueness, both as individuals and as an organisation. They wanted to tell the world what they’re proud of, and consider what lies ahead. 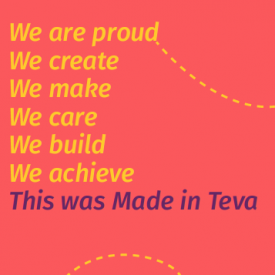 The essence of the event was “Made in TEVA”. As we unpacked this we explored the meaning of the verb ‘made’. No matter whether something is hand-crafted or digitally constructed, it has been made. We looked at several different ways to express this concept before settling on a handmade route, using stitching, labels and textures to create a somewhat skeuomorphic look and feel. 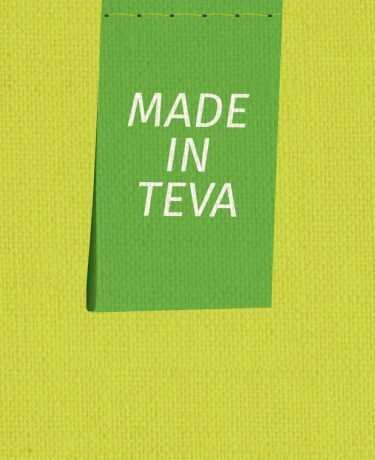 We chose a bright, positive and celebratory colour palette that worked within TEVA’s extensive brand guidelines. 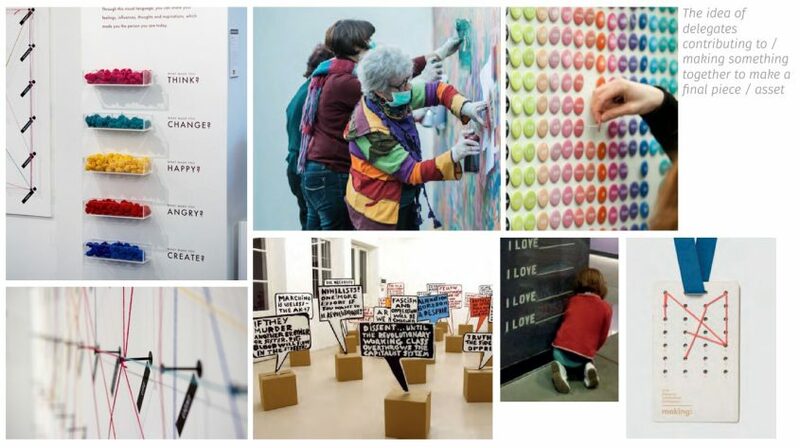 Then we rolled the design out over a whole range of event marketing props and materials including exhibition stands, keynotes and a range of delegate collateral. As the project progressed we realised that the concept of ‘making’ could lend itself really well to experiential design. So we came up with some ideas for how to get the event delegates involved on the day, ranging from a thinking wall (an entire wall space for the team and delegates to capture ideas and thinking as the day progresses) to a co-created piece of art. The TEVA event opened and ended with a short, inspirational film which we created with our partner Plume Animation, along with a storyboard and a range of other motion graphics for the event. You can check out the full length version below. 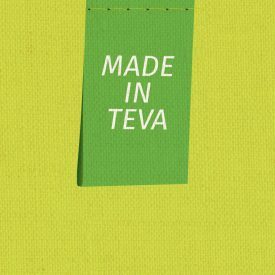 We liked: stretching the parameters of what was possible within the constraints of TEVA’s brilliantly formed brand guidelines!